I see lots of patients who want to lose weight, or feel better and get more healthy. Here are some quick tips that have worked well in the past for my clients who want to stay healthy and lose weight. 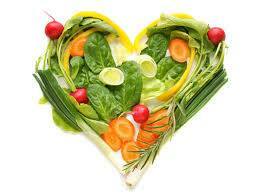 Eat vegetables to help you feel full. I suggest you eat at least 8 servings per day! Drink plenty of water. I suggest 64 ounces or more a day. Sometimes we eat when we’re really just thirsty. Eat protein. Lean protein. It makes you feel full and gives you energy. Get tempting foods out of your home, you won’t be able to resist them when you get cravings. Get active, try to take a walk, or do at least 15 minutes of exercise a day; increase your metabolism and use excess calories. Try to eat only from your plate, while sitting down at your table. Don’t skip meals. Eat 3 meals a day, and 2 healthy snacks. This keeps you from eating a lot of food before bedtime, or grabbing high calorie junk food or sweet because you are hungry. After trying these 7 tips, let me know how you’re feeling! If you still need a little help and would like to schedule an in-person consultation with me, please do so!